It’s odd that Google hasn’t brought the beloved ‘I’m Feeling Lucky’ button from its search engine to YouTube. Clicking it instead of the ‘search’ button automatically takes you to the first search result. YouTube’s now pretty good with search, to the point that you almost never have to scroll through results to find the video you were looking for. That’s why Saikat Guha’s Chrome extension is so useful. 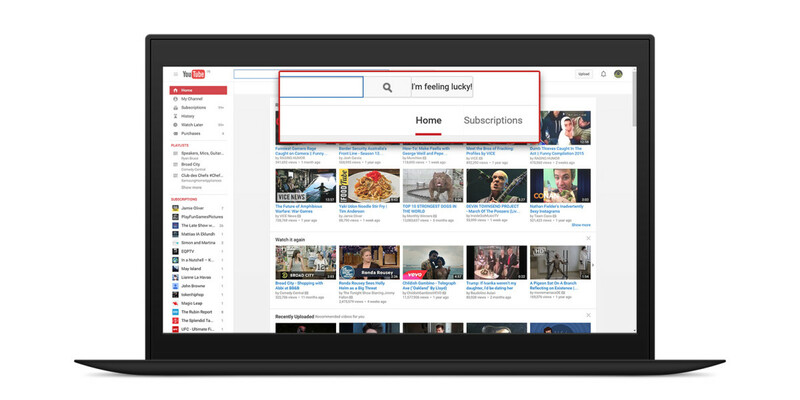 It adds an I’m Feeling Lucky button to YouTube’s search box. The next time you’re looking for a video, enter your query and click it to bypass the results page and instantly launch the first result. To speed things up even further, you can just hit Shift + Enter after typing your query, and voila, instant YouTube playback. I find it very handy for quickly loading up clips that I’ve seen before and want to show friends when they come over.